Fifty-six seconds after informing Captain Bruce McCandless II (CAPCOM) of his intent to take humanity's first photographs on the lunar surface during extravehicular activity, Neil Armstrong adjusted the settings on his 70mm Hasselblad—loaded with Kodak Ektachrome SO168 160ASA color film, Magazine 40/S—and snapped a series of photos for a panorama starting with this one. 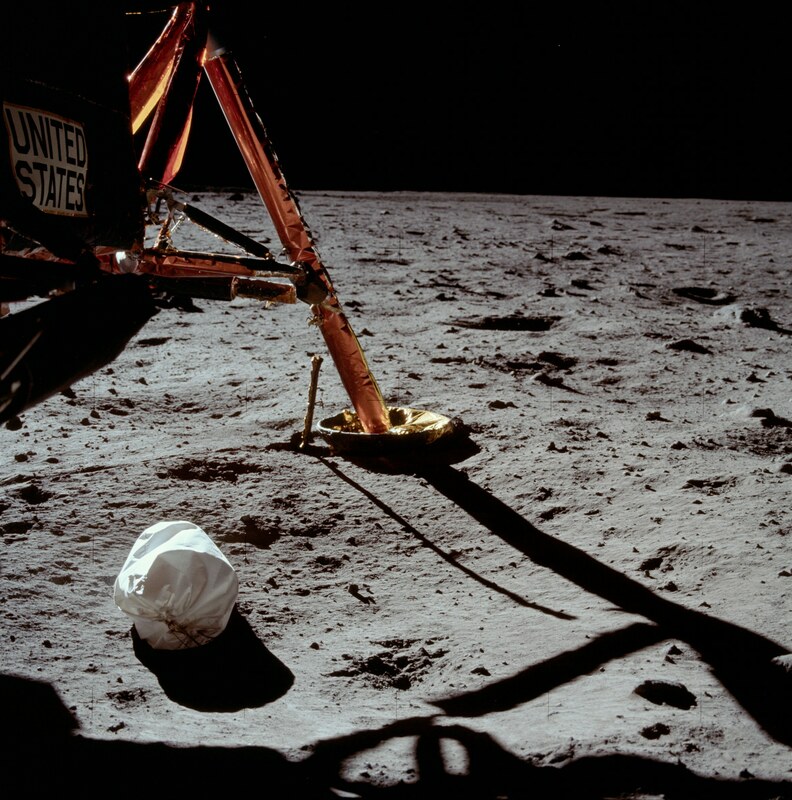 The result is AS11-40-5850 "Lunar Surface with Lunar Module Strut" shot by Armstrong just west of the Lunar Module ladder looking east-southeast. You can watch video of this sequence, learn more about Apollo 11 photography and panoramas, browse the Apollo Lunar Surface Journal including the entire mission image library and read the official transcripts.